A Neapolitan style pizza is the life saver of many Americans. It is passion. Americans crave for it. Yet one U.S. city’s pizza stokes the deepest devotion. There are certain things that you will find in one city only, but the traditional foldable, thin-crust pizza is no longer one of those things. 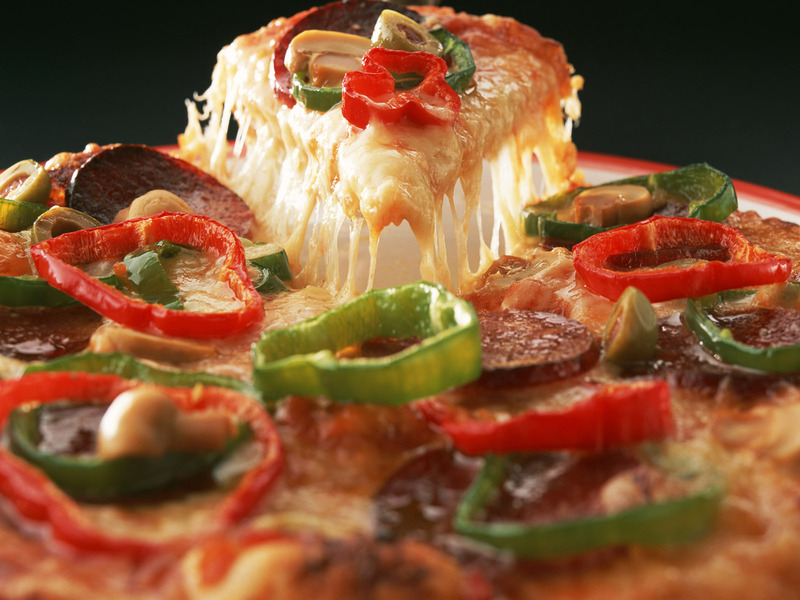 For your taste bud, here is a list of America’s best cities for pizza. 1. Chicago: Chicago is famous for the classic deep dish style pizza. At the local chain Pizano’s, you can get an authentic deep dish as well as a “tavern-style” thin crust, cut into strips or squares. The Neapolitan-style, brick-oven pies at Lincoln Park’s Pizzeria da Nella are a favorite of Heather Sperling. The Chicago pizza is famous for its buttery, caramelized crust. 2. Providence, RI: Providence, RI offers an only-in-Providence pie: grilled pizza, where the dough is cooked on one side, then flipped before the toppings are added. A great place to try it is downtown’s Bacaro, whose chef is from Al Forno, home of the original grilled pizza. To go a layer deeper into the city’s pizza culture, sample the pizza strips, topped with just sauce and found at LaSalle Bakery. 3. New York City: You will find pizza in every block of New York. Dodge the lines at legendary Grimaldi’s near the Brooklyn Bridge, and try a Sicilian-style in Bensonhurst, then stick around post-tour for pies at Roberta’s. Back across the bridge, Adrienne’s Pizza Bar in Lower Manhattan gets raves for its square thin crust. Luckily, plenty of NYC pizzerias stay open late, which blends nicely with the city’s high rankings for cocktail lounges, live music, and wild weekends. 4. Philadelphia: The pizza museum in Fishtown serves thin-crust pies and houses more than 500 pizza-related artifacts. Meanwhile, at purist favorite Nomad Pizza, they slice your pie at the table, to prevent sogginess, and show a movie every Sunday night. 5. Boston: While Santarpio’s and Regina are classic Beantown pizzerias, you can get trendy pies with a twist at the Back Bay’s Salty Pig topped with a rotating selection of “salty pig parts” or at Scampo, in the Liberty Hotel, where you can order a decadent lobster pizza. 6. Minneapolis/St. Paul: Punch Pizza, with several locations, has serious VPN (Verace Pizza Napoletana) street cred, while Pizza Luce interprets the dish more loosely, offering a “western pizza” with scrambled eggs, bacon, and peppers for brunch. The hottest newcomer is artisan-style Pizzeria Lola, opened by a Korean-American chef and featuring a short-ribs-powered Korean BBQ pizza. 7. San Diego: Pizza purists often point to Hillcrest’s Bronx Pizza as delightfully foldable, East Coast–style pizza. The hottest newcomer, however, is Buona Forchetta in South Park, where the wood-fired oven looks like a blinged-out space pod, and where you can order white pizzas with crème fraîche and caramelized onions, or even a pizza fritte that is lightly fried before being baked.